I love what Voki offers kids! Often in the classroom or in home school we focus on the key skills of reading and writing to such an extent that we neglect other communication skills. Speaking confidently and competently is a skill that helps not just in school, but in real life. Give an employer a choice between someone who mumbles and rambles, and another person who speaks clearly and concisely. I think we can guess which candidate they will choose. Voki gives children an engaging format for speaking. The range of cute avatars available is motivating for kids, allowing them to choose one to suit their purpose. 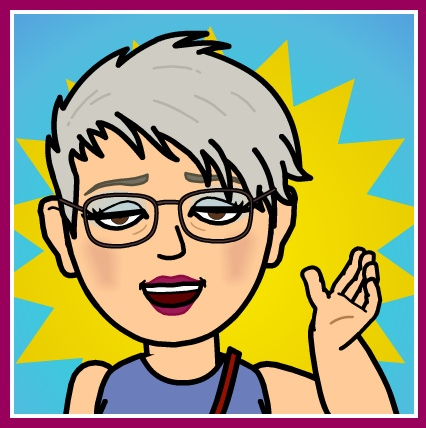 Voki also gives kids a voice. Whether they are creating a short speech to introduce themselves on a class blog, or giving an opinion about their favourite video game, kids are involved in creative and critical thinking as they choose the best words and delivery style for their purpose. We want older kids to develop real writing skills. Part of that with narrative writing is to develop strong characters for a story. The Voki avatars can suggest a character, and students can speak like that character, trying to think their way into the character and look at life from its perspective. In a literature lesson, students can use Voki to give a book report, or brief opinion of a book they’ve read. By listening to others’ Vokis, kids are not only experiencing different ways of delivering a presentation, but also perhaps learning about new and exciting books to read. For children in younger grades, Voki gives them a way to practise reading fluency and writing. By adopting “voices” for the different avatars, and reading aloud scripts they’ve written earlier, kids have a purpose for both reading and writing that is truly engaging. There are many ways to create avatars. Voki offers more than the usual avatar because children can record themselves and speak through the character they choose. Adding the dimension of audio to an avatar makes it a talking character, opening up lots of learning possibilities for children at home and at school. Voki really does give children a voice! Find many more ideas from teachers currently using Voki on the Voki blog. BIO: Susan Stephenson is an Australian writer, teacher and book reviewer. She blogs at The Book Chook (www.thebookchook.com). Teachers and parents from all over the world visit The Book Chook to find tips on encouraging kids to read, write and communicate, and ideas for incorporating children’s literature and learning into everyday life. Susan also offers free PDF booklets of learning activities at her personal website, www.susanstephenson.com.au.